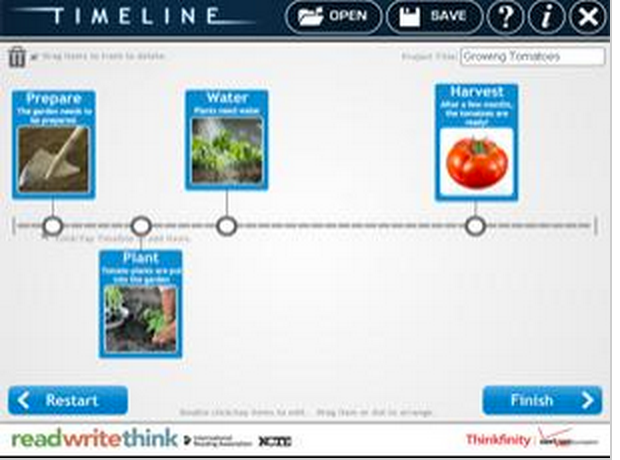 The possibilities for the use of timeline tools in the class are endless. Whether you want to teach salient historical incidents, chronological order of events, or explain a developmental process in biology or simply outline the major learning curves for the year, timeline creation tools are the ideal platforms to implement. A timeline is a visual representation that features information in connected sequences over a given period of time. The importance of timelines lies in the fact that they enable students to easily comprehend and internalize information, chronological sequences, and dates.Students can also use these tools to participate actively and in building new learning experiences. They are excellent tools for conducting scholarly research and sharing knowledge. That being said, I have done a lot of scouring and compiled the list below. I have meticulously handpicked the tools that you as a teacher might need to use in the class with your students. Criteria such as user-friendliness, simplicity, and practicality are the common denominator among all of these tools. I have also annexed another short list of iPad apps for timeline creation. Check out the selections and as always share with your colleagues and students. This is a relatively new web tool that I am mentioning here for the first time. Timeline JS is an open-source tool that enables you to build visually-rich interactive timelines and is available in 40 languages. 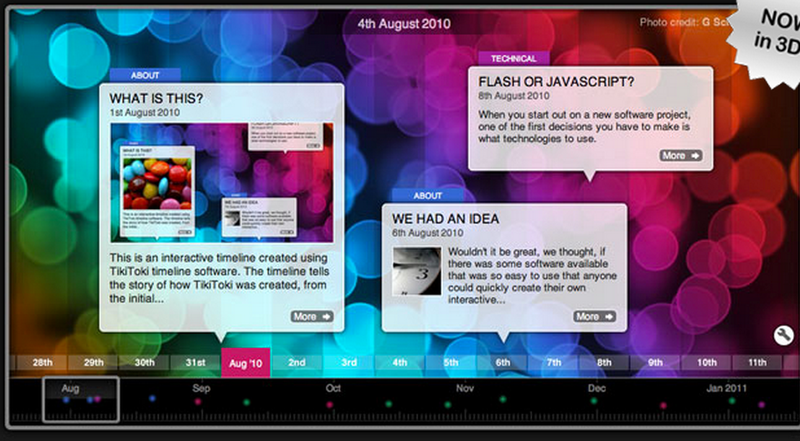 TimeRime is a web application which allows people to create, view and compare interactive timelines. The application is available as an online community at www.timerime.com, and as a professional software solution, that can be integrated in other websites. Timetoast is a place to create and share timelines on the web. You can create historical timelines of important events, or build a timeline of your vacation. It's all up to you and your imagination. 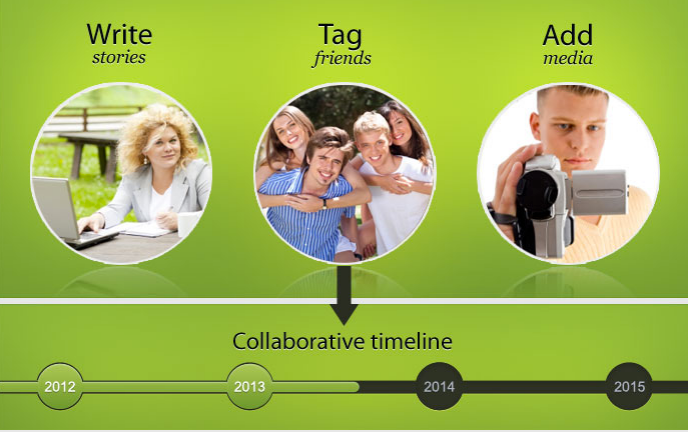 Timelines you create can also be shard with others or embed them in blog or website. Tiki-Toki is web-based software for creating beautiful interactive timelines that you can share on the internet.It is also available in 3D now. Dipity is a free digital timeline website that you can use to create, share, embed and collaborate on interactive, visually engaging timelines that integrate video, audio, images, text, links, social media, location and timestamps. Meograph is another web tool that enables you to easily create , watch and share interactive stories. 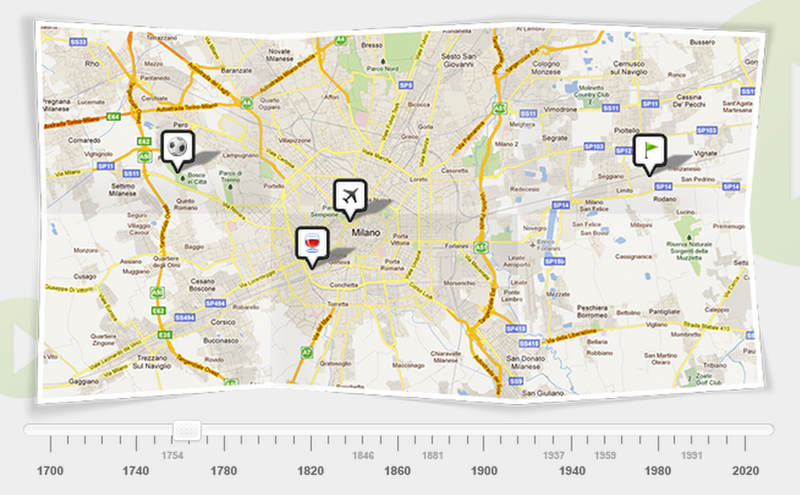 You can include maps, timeline, links, and multimedia to tell stories in context of where and when. Timeline Maker helps you in a very easy and fast way to display a list of events in chronological order. Timelines can be shared by email, saved to Photo library and printed. Make and present timeline charts from your events for school, work, or home. Timeline 3D uses award-winning visual design to help you understand and present chronologies and historic events with new perspective. It's simple to get started, because Timeline 3D will make a timeline automatically from your events. Timestream is an easy and fun way to create timelines and chronologies on the iPad that you can share with your family and friends. 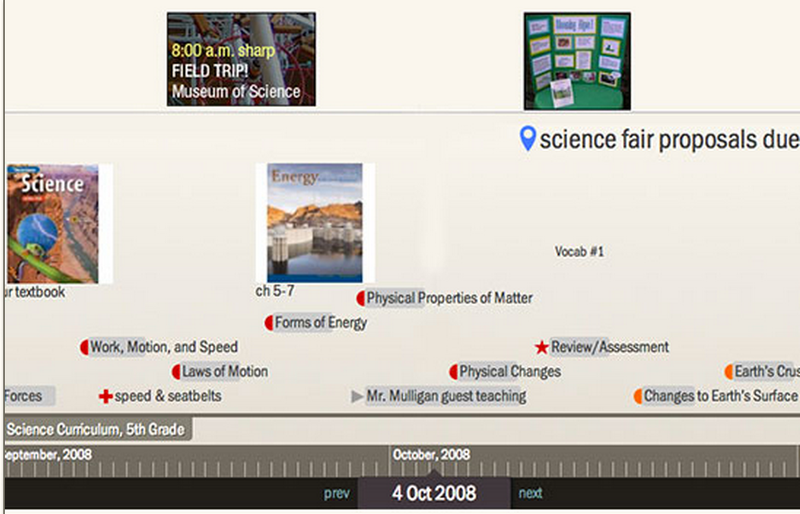 You can include events, event periods, and images to create scientific, historical and personal timelines. You can span billions of years or only a few microseconds. TimelineBuilder for iPad is a unique and robust app that allows the user to create custom timelines with beginning and ending dates of their choosing, adding events where they want with the ability to manipulate image size and placement. TimelineBuilder is a flexible tool, allowing the user to edit timelines; add, edit and delete events; add or swap images; resize and reposition images and timeline events.